* I received a copy of the Kids’ NIV Visual Study Bible in exchange for my honest review, regardless, all opinions are my own. This post contains affiliate links. When it comes to God, teaching my kids about Him is very important to me. I love God and I want my children to, too, that’s why it’s important to me that they want to read the Bible. 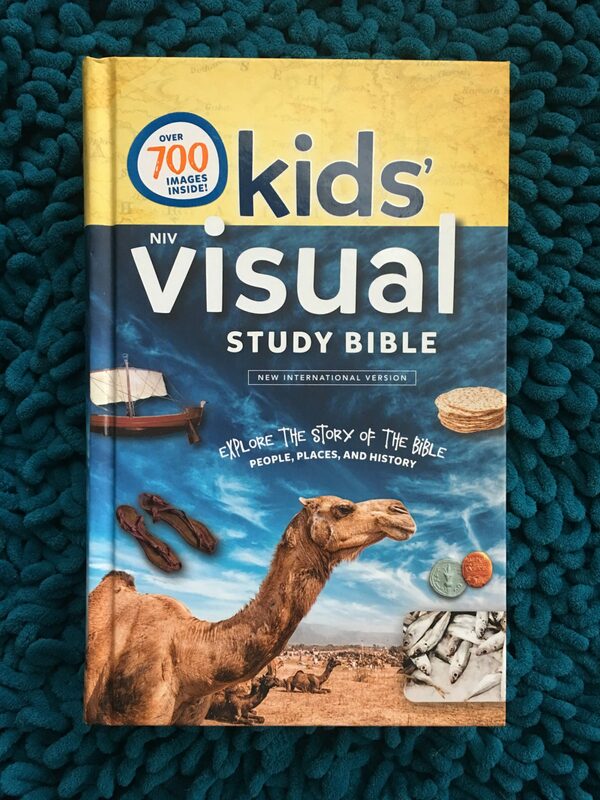 While most of the kid bibles that I’ve reviewed are aimed towards children, I don’t think any of those Bibles have made it as easy as the Kids’ Visual Study Bible for children to learn His word. The Kids’ Visual Study Bible is probably one of the most unique children’s bibles I have reviewed. This Bible has over 700 images to go along with God’s word; making it easier than ever for children to understand the words of the Bible. 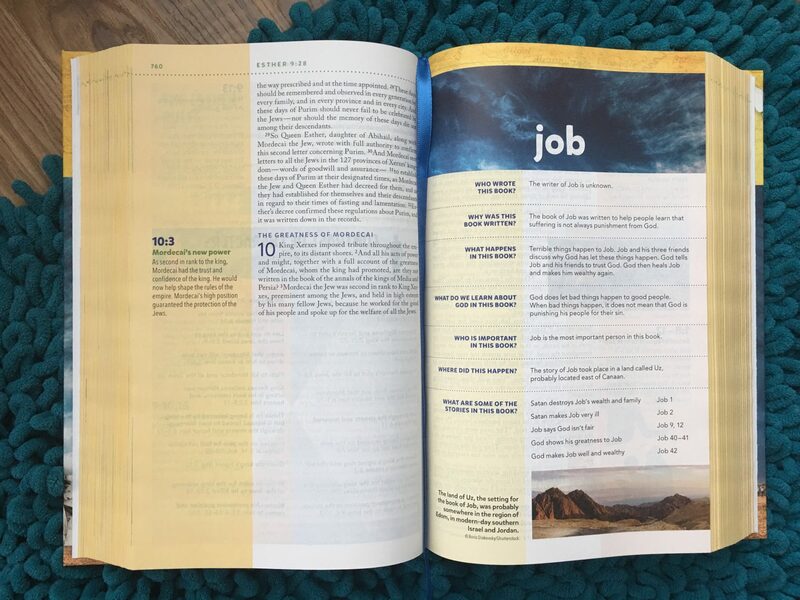 Throughout the pages of this Bible, children from 8-12 years old, can understand the words of the Bible by simply being able to look at the pictures on the sides of the pages. When my 7-year old first took a look at the Kids’ Visual Study Bible, he couldn’t believe all the pictures inside of it. In fact, he almost immediately begged me to tell him the stories of every picture. Along with pictures, this Bible also features a short introduction to each chapter in the Bible. I particularly liked this feature the most because I think it makes learning the Bible a lot easier. Along with beautiful pictures, the Kids’ Visual Study Bible also features maps, infographics, and a presentation page. 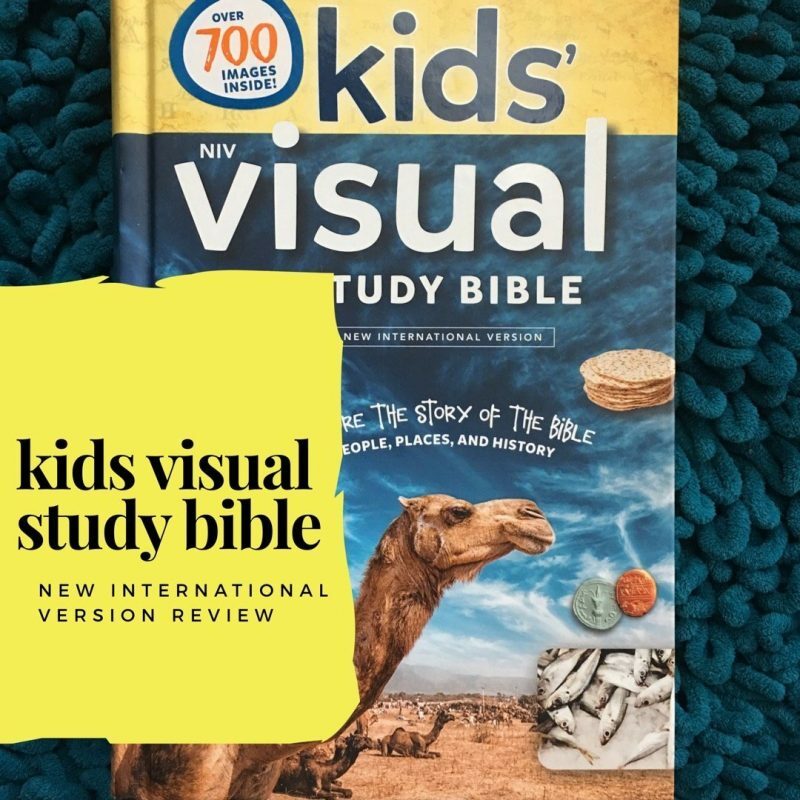 The Kids’ Visual Study Bible is written in the popular New International Version and is the perfect Bible for children who are just starting to learn His word. You can purchase the Kids’ Visual Study Bible online through Zondervan or at Amazon.